Georgia gubernatorial candidate Brian Kemp said Nov. 12 that updated vote totals affirmed his victory as his opponent, Stacey Abrams, filed a lawsuit to stop counties from throwing out some rejected provisional and absentee ballots. 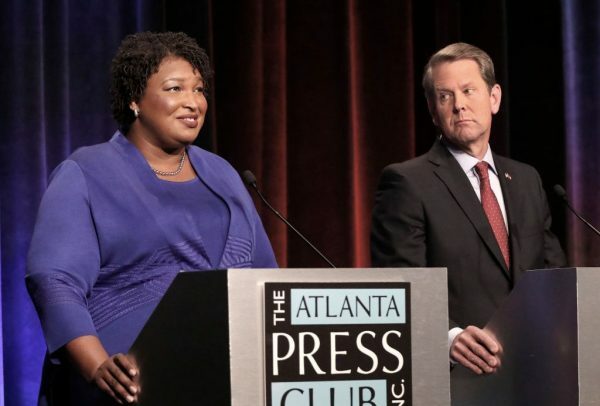 As of Nov. 12, the reported vote totals showed Kemp ahead by nearly 58,875 votes, with 50.2 percent of the vote, compared with Abrams’s 48.7 percent. While Abrams has contended that the final vote count could see Kemp fall under 50 percent, which would trigger a runoff, Kemp said that won’t happen. According to a statement from Kemp’s campaign, no more than 13,360 ballots remain based on official figures. The campaign note that even if every vote went to Abrams, Kemp would still have 50.1 percent, avoiding the threshold needed for a recount or a runoff election. “Stacey Abrams lost and her concession is long overdue,” Ryan Mahoney, communications director for Kemp’s campaign, said in a statement. Abrams’s campaign is contacting every voter in Georgia asking if they experienced issues casting a vote. The campaign is also soliciting donations and asking for free help from lawyers, according to Abrams’s Twitter account. Abrams’ campaign filed a federal lawsuit (pdf) with the District Court for the Northern District of Georgia on Nov. 11. Lawyers for Abrams’s campaign and the Democratic Party of Georgia asked the court to order that provisional ballots that were rejected due to missing or incorrect information be restored. The lawsuit also demands that counties which have already certified vote returns to correct their totals and re-certify the results. The lawyers also asked the court to order that the deadline for verifying provisional ballots be extended to 5 p.m. on Nov. 14 statewide. The complaint specifically demands to restore the votes of 1,095 Gwinnett County voters whose absentee ballots were rejected. Georgia state law requires that provisional ballots be verified only up until three days after Election Day, or through Nov. 9. The lawsuit argues that the state law is “wholly inadequate” due to the high number of provisional ballots cast. In addition, the suit alleges, the three-day window allotted for verifying the ballots interferes with voters’ constitutional right to have their ballots counted. “Under Georgia law, it appears that any voters whose provisional ballots have not been resolved by November 9, 2018, will be disenfranchised, simply because the counties in which they respectively reside could not address their ballots in time,” the lawyers for the Abrams campaign say in the complaint. Later on Nov. 11, the State Election Board approved a move to issue guidance to local election officials about how to process mailed-in ballots. The board asked Secretary of State Robyn Crittenden to send a letter outlining the process, although the details of the letter weren’t disclosed publicly. Middle Georgia State University assistant professor John Hall told local news channel WMGT the certification is set for Nov. 13 and that thousands of provisional ballots likely won’t be counted. “Some states have a higher or lower provisional ballot rejection rate. Georgia, in the presidential election in 2016, rejected over 55 percent of provisional ballots. The national average is about 25 percent,” Hall explained. He said that it’s possible a runoff will happen, but deemed it unlikely. There are a number of reasons why ballots are rejected, including voters filling out certain areas incorrectly or not clearly marking who they want to vote for. 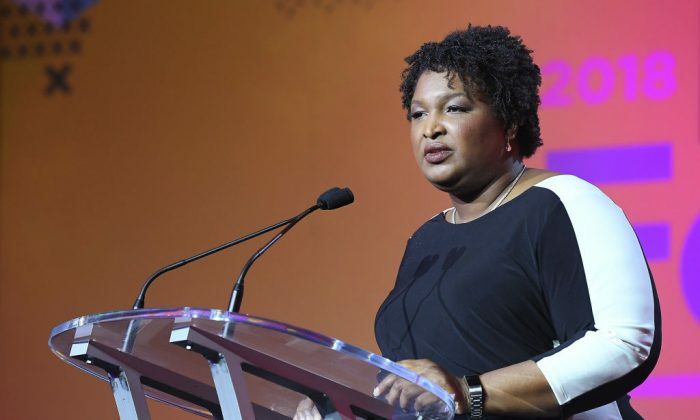 Abrams has been urged to concede by a number of people, including President Donald Trump. “Brian Kemp ran a great race in Georgia—he won. It is time to move on!” Trump said via Twitter.